written by Meg Cabot, read by Anne Hathaway. Listening Library, 2003. The first two reviewed from library copies, the third purchased on audible.com. I just finished listening to one of the great audiobooks of our time. 1. In the mood to laugh out loud? 2. Looking for a truly great audiobook experience? 3. A tween girl (or about to be in the car with a tween girl for any amount of time)? If any of the above apply, I urge you to procure the first three Princess Diaries audiobooks, narrated by Anne Hathaway, and listen to them right this moment. You can thank me later. Mia Thermopolis is your average New York high school freshman, or that's what she'd want you to think, anyway. Truly Mia's smart (though you wouldn't know it from her algebra grade) and caring and stands up for her principles. She's got a crushes on boys, she has sleepovers with her best friend, she takes care of her cat, Fat Louie. Oh, and, as she finds out in the first book, she is the heir to the throne of a small (fictional) European principality called Genovia. Suddenly, in addition to all the normal freshman girl stuff, Mia's dealing with princess lessons with her strict Genovian grandmother, press conferences, and paparazzi. Not to mention the knowledge that someday she might actually have to RULE GENOVIA. 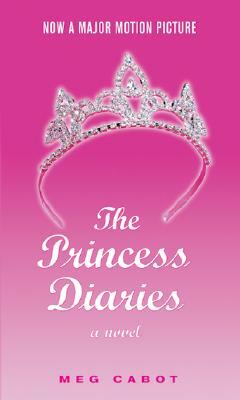 The books are funny and sweet and hit just the right notes with tween girls. Anne Hathaway's expert narration takes them to another level. Anne Hathaway, star of the Princess Diaries movies, narrates the first three audiobooks in the series and she is FANTASTIC!!! She's already known as Mia's voice (due to the aforementioned movies) and she absolutely brings the character to life. I could practically see the events in the book unfolding before my eyes. And she's so funny! Hathaway varies her voice in pitch from whispers to impassioned wails as she navigates Mia's drama-filled diary entries. She also uses different voices for different characters, tackling the French-Genovian accent with ease (as well as other accents and voices for many different characters). I seriously can't recommend these enough. If you're looking for some titles to get you hooked on audiobooks, these three recordings will do it. Anne Hathaway, sadly, does not read the rest of the audiobooks in the series, but that won't stop me from giving them a try. All three titles are available now! Hey, I'm an Audible affiliate, which means that if you buy products after clicking on links here, I get a small commission.